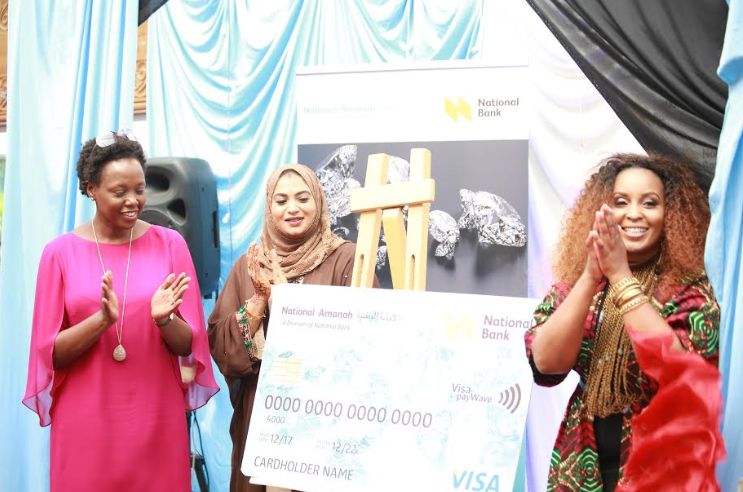 National Bank of Kenya has launched new banking product, Almasi Lady, targeted mainly at Muslim women. “We worked with National Amana to develop something with feminist appeal, while maintaining the concept of Islamic banking. Just as National Amana, which is opened to Muslims and non-Muslims alike, Almasi too is open to non-Muslim women,” she said. Mr. Musa Adan said that the Bank had invested heavily in extending its integrated financial services to female customers as they increasingly participate in the Kenyan economy. “Almasi Lady appreciates the increasing number of women conducting financial transactions through formal and informal sectors. It offers the women combined benefits of conventional Shariah Compliant banking and customized financial consultancy,” Mr. Musa said. Customers who sign up to Almasi Lady will enjoy specialized consultation and advise on financial planning, multi-currency accounts, access to a specialized 24×7 mobile and internet banking services and access to financing through the Amanah Jenga Biashara preposition. They will also have access to Mortgage financing and working capital. Mr. Musa Adan added that the Almasi Lady addresses the market need of women empowerment through financing and organising networking forums hence encouraging financial inclusion. “Research has shown that financial inclusion for women is linked to family financial sustainability, reduction in poverty levels and overall well-being of communities. As a Bank, our transformative agenda will continue to support the achievement of Millennium Development Goals No. 3 that seeks to promote gender equality and empower women,” concluded Mr. Musa. In 2017, National Bank’s Amanah Jenga Biashara was awarded the Best Innovative Product in the Islamic Microfinance by the Centre of Islamic Banking and Economics, which promotes Shariah Compliant banking and finance all over the globe. National Bank introduced its Shariah Compliant Business unit in 2007 as part of its transformational strategy that would see it introduce and implement a robust Sales Model and Product innovation with tailored Customer Value Propositions for different customer segments. Last year, the bank opened 25,000 accounts in its Islamic banking window, National Amanah, almost 19,000 of which are held by non-Muslims.